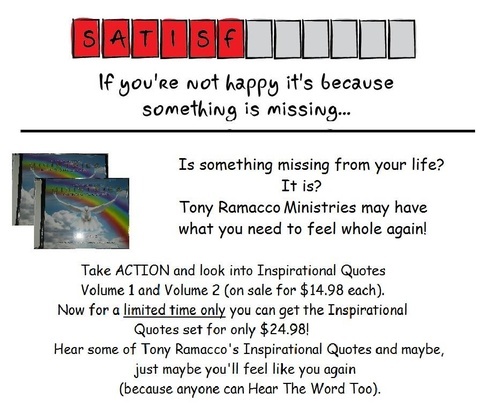 Welcome to Tony Ramacco Ministries, Inc. 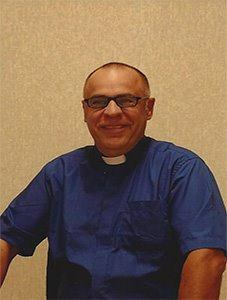 The Ministries’ mission is to guide parishioners to God through the teachings of Jesus Christ and from the compelling passages told in the Bible. Our goal is to accommodate all of His followers in our vibrant and diverse congregation. Tony Ramacco Ministries, Inc. prides itself in welcoming you with open arms. As members of the community, we feel connected to this neighborhood and in turn are pleased to know that our parishioners will thrive from our services and support system. Join us and you, too, will feel God's love through our services. HearTheWordToo.Org. and click the Donate Button On The Home Page. This Will Bring You Into Our PayPal Where You Can Make Your Donation Safe And Securely. ALL DONATIONS ARE TAX FREE AS WE ARE 501(c)(3). I wish to deeply thank each and every one of you for your support in the continued growth of the Ministry. Please continue to walk in the presence of God you'll be glad you did.